In New York, a day before his team are set to play their second league game of the season, Cristian Cásseres Jr. starts to talk about his first year at the New York Red Bulls (NYRB). Cásseres’ agent Gerardo Hernández had arranged the interview and he willingly obliged with an immediate warmth to his words. 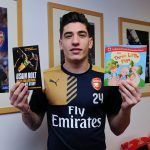 Preferring to chat in his native Spanish – although Red Bulls boss Chris Armas insists he is the first to his English classes – Cásseres referred to me as his little brother throughout our conversations. Cásseres left Venezuelan side Deportivo La Guaira for NYRB two weeks after his 18th birthday and, 13 months later, he is starting to feel settled in his new surroundings, where he shares an apartment with three of his teammates – Allen Yanes, an American-born Guatemalan international, Tom Barlow, a striker in the reserve team, and Omir Fernández, who made his league debut this season. Cásseres is the youngest by a year, but his coach believes he’s ahead of his time. When asked what his back-up plan was, in case he wasn’t successful in his pursuit of a footballing career, he says he didn’t have one. There is a conviction in his simple replies that made the realisation of his dreams seem an act of endeavour, rather than a naiveté that went unpunished. Studious in his football as well as his academics, Cásseres spent any free time he had watching his father train and play. A former international in his own right, Cristian Cásseres Snr. had a 20-year career spanning his homeland, Mexico and the Dominican Republic, even overlapping his son in 2012. When both father and son were at Atlético Venezuela, albeit with Cásseres jr playing at under-14 level, Cásseres snr was confident his 12-year old son could make it if he applied himself. “I think he’s going to be smarter than me in terms of the game, he’s more explosive, he sees the play better, that will help him. He has to think about the future, to stay here or play abroad, [and think about the] the national team,” Cásseres snr. told the club’s official website in 2012. The switch from attack to midfield may have ensured him a professional career, but the move seemed a natural one given his father’s assessment of his young son and his adulation for Andres Iniesta. It is a position he has grown to become a scholar of, naming Arthur Melo, again of Barcelona, as the one player he would like to play alongside. For now, he tells me his Red Bulls teammate Kaku is the best player he has played with. Undoubtedly, Cásseres’ hunger to learn helped him through his first few months at the club, but he says it was the welcoming nature of his fellow players that enabled him to quickly grow in confidence and feel part of the group. 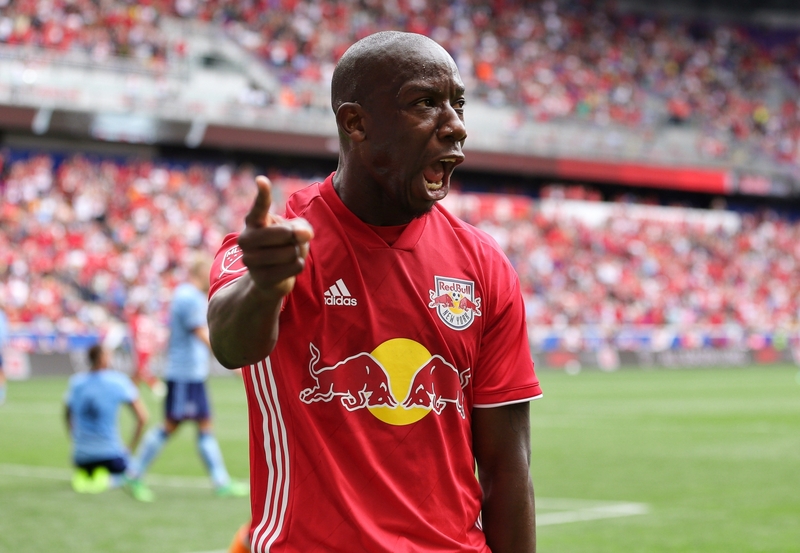 An injury soon after joining RBNY meant his impact was delayed, but perhaps it was a blessing in disguise, allowing him time to adapt to a considerably different environment. Other than international duty for Venezuela’s under-17s and 20s, Cásseres had not been outside of his homeland. His lifelong dedication to the sport he loves has its downfalls, however. Admirable though it may be for a player his age to shun the many attractions New York has to offer, there were elements of his life he described that leave little envy. Unable to sort visas or paperwork for his family to join him, Cásseres said he regularly spends his time alone, and instead of seeing the city, he prefers to spend his free time at home in his apartment resting. For each one of his triumphs, and his short career so far has had its small victories, there have been the obvious sacrifices. 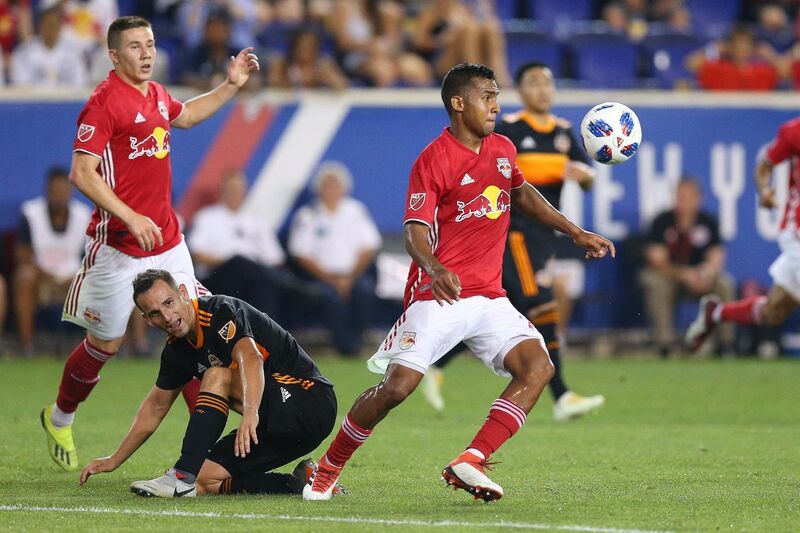 After spending his first year with Red Bulls’ second team, Cásseres believes he has learned how to handle himself in US football, as well as understanding the way his team plays. He amassed 26 appearances for them over the course of 2018, scoring and assisting three along the way, and with the new season two games in, he is ready for what is shaping up to be a big year on all fronts. Venezuela have been drawn in the same group as the hosts, and Cásseres believes they are in possession of the best player he has coming up against on the pitch in Real Madrid’s Vinícius Júnior. Should they progress out of the group they may well come up against the player he deems the best in the world – Lionel Messi. In 2017, Venezuela reached the under-20 World Cup final. Facing them that day was England. Neither nation had reached the final before, so both had already made history, but only one team could win it and it was the Three Lions that did so. Yet it was incredibly close. In the 74th minute, Adalberto Peñaranda missed a chance to level the score from the spot. Golden Glove winner Freddie Woodman saved the penalty and England held on to their 1-0 lead. For a country that has never seen their senior side compete at a World Cup, Venezuela’s performance in the tournament gave them hope for the future. In the months that followed, a number of Venezuela’s side made the move to Europe: Sergio Córdova, who won the goal of the tournament and finished second in the Golden Boot, moved to Bundesliga side Augsburg on a five-year deal; Williams Velásquez joined Watford on loan, later joining permanently; and Josua Mejías made the journey to Spain, impressing at Cartagena who loaned him from Leganés. Traditionally a baseball nation in a continent rich with footballing history, Venezuela rarely threatened to make a dent on the annals of international football until recently. In 2007, they hosted the Copa América and reached the quarter-finals. 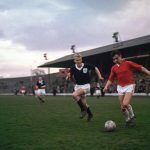 The team included just one player plying his trade in one of Europe’s big five leagues – Juan Arango of Mallorca, who would go on to become his country’s record holder for both goals and appearances, with 23 in 129. 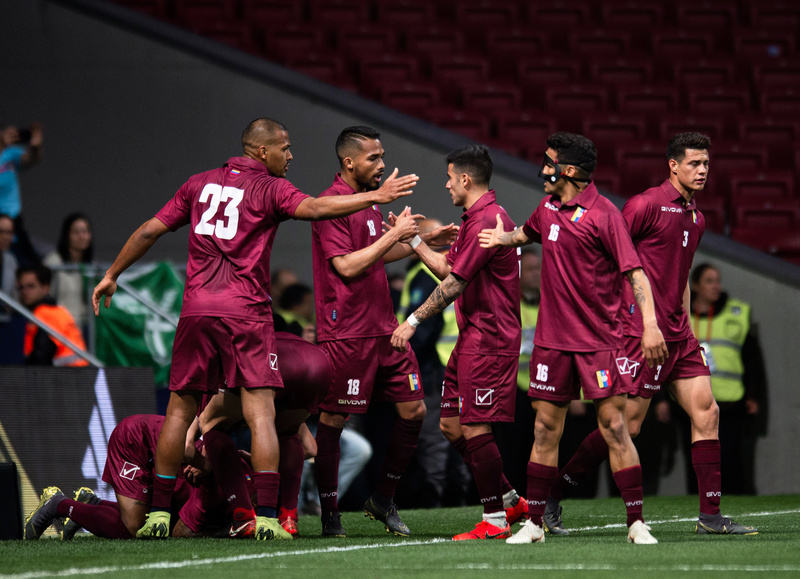 As is so often the case, hosting an international tournament galvanised the country in support of their national side and, four years later in Argentina, La Vinotinto earned their highest ever finish in the Copa América. In fact, only a penalty shootout denied them a place in the final with Uruguay. After a goalless 120 minutes, Paraguay scored all five of their penalties, meaning Franklin Lucena’s saved attempt – likened to Gareth Southgate’s effort at Euro 96 by Guardian writer Jacob Steinberg – was all it took for his country to miss out. Paraguay reached the final without winning a single game and duly lost 3-0, while Venezuela, undoubtedly hurt by such a tragic exit, were hammered 4-1 by Peru in the third-place playoff. 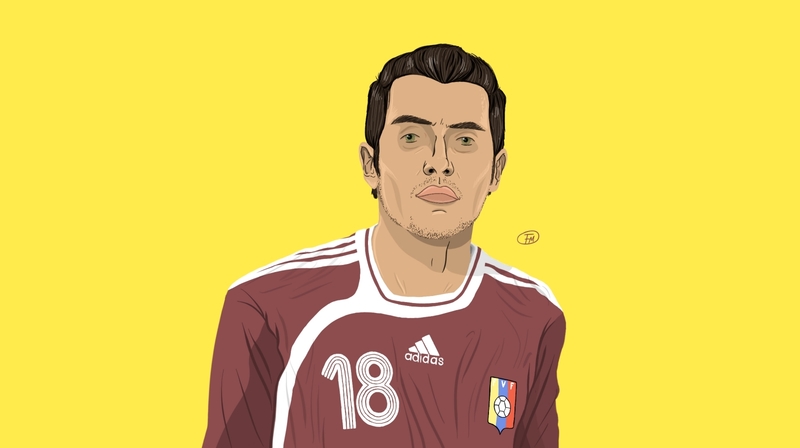 The children, who were just seven to ten years old when Venezuela hosted the 2007 Copa América, are now in their late teens and early 20s and form their country’s bright footballing future. Having ridden the wave of football fever through adolescence and brought home the bronze from the South American Youth Championship and the runners-up medals from the under-20 World Cup in 2017, they now arrive at the precipice of the senior team. Overseeing that rise was Rafael Dudamel, the former Venezuela goalkeeper who played alongside Cásseres Snr for the national team. Dudamel took charge of the under-17s a year after the 2011 Copa América and has worked his way up, alongside that same age group, through the under-20s and to the senior team. His holistic approach has reaped its rewards and he still retains control of the under-20s alongside his position of head coach of the senior team. It is he who was in charge of 2017’s successes, four years on from his first triumph with Venezuela’s youth sides – the runners-up at the South American under-17 Championship in 2013. Europe, which Tarache refers to as the Old Continent, a term coined by Christopher Columbus, is becoming home to an increasing number of Venezuelan players, and the “constant export of players abroad” is indicative of the strength and health of the domestic league, he claims. Venezuela’s most well-known export to English football is Newcastle’s Salomón Rondón. He needs just one more goal this season to ensure his best return in England since signing for West Brom in 2015. Since then, he has averaged a goal every 3.89 games. 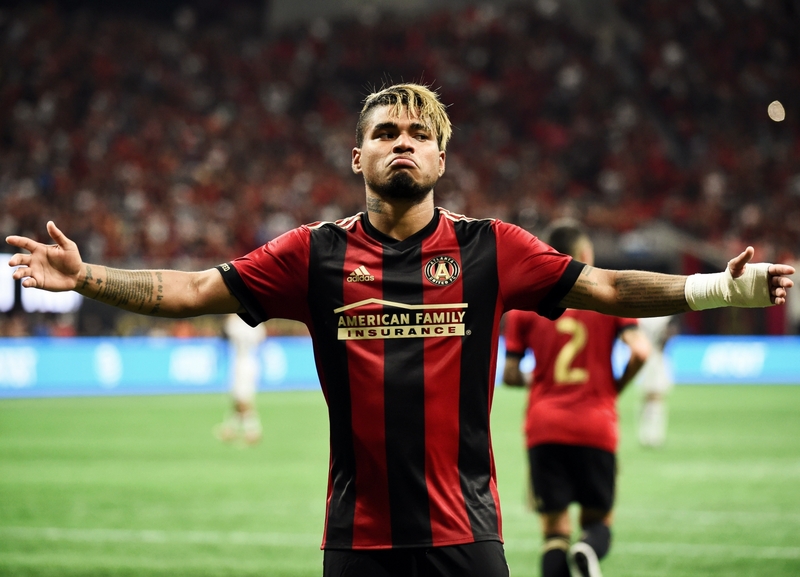 His physicality, hold-up play and aerial prowess has made him the focal point of a resilient Rafael Benítez team, and Tarache believes he paved the way for the latest wave of Venezuelan players to make their mark on Europe. But is the production line running dry? All setups suffer from it. Barcelona’s La Masia has dry spells, Southampton’s academy and scouting network has stumbled in recent years, and Athletic Club have widened their net and loosened their strict transfer policy in the past few seasons to counter the slowing down of their conveyor belt. Despite Dudamel’s responsibility for the growth of the current crop of young stars, Tarache believes the foundations have been laid over the last 20 years and has evolved with different influences as management at the top has changed. The process, he believes, is deliberate and one that he is deeply proud of. It draws parallels with Germany’s conscious restructure following embarrassment at Euro 2000. 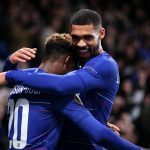 After finishing bottom of their group, they revamped their youth system, doubling down on the development of technically gifted, homegrown players. In 2014, that came to a head as they romped to their fourth World Cup, humiliating hosts Brazil 7-1 in the semi-final before Mario Götze’s strike won them the final against Argentina. If La Vinotino are to succeed in the coming years, they do so against the current backdrop of civil unrest. Though inflation is slowing down – it practically halved from 97 percent in January to 47 percent in February – the country is still in a state of hyperinflation. The president, Nicolás Maduro, is still unpopular with many, but even more unpopular is the recent American intervention – nobody on either side of the internal debate wanted that. “The fact that the US is involved now is one of the worst things that could have happened. I don’t want them anywhere near this, and yet here they are,” Bellingcat’s Giancarlos Fiorella told me. The US sanctions will hurt ordinary Venezuelans – and are already doing so – and those that hoped it would weaken the presidency have seen the opposite happen. Juan Guaidó’s attempt to self-declare as president failed to materialise into anything other than a week of bizarre headlines, and most of the damage being done remains the fault of the US sanctions. On the night that Venezuela announced themselves as genuine dark horses for the Copa América, politics threatened to directly hinder the sport. Having beaten a Messi-led Argentina 3-1 at Atlético Madrid’s Wanda Metropolitano in Spain, Dudamel announced that he would be offering his resignation to the Venezuelan Football Federation. Before the victory, a feat they have only achieved twice in their 25-game head-to-head record, Dudamel and the national team received Guaidó’s ambassador to Spain, Antonio Ecarri. Despite Dudamel telling Ecarri that any photos or videos of the meeting were not for publication, during the game Guaidó used his social media to upload quantities of both. It is far from the first time opportunistic politicians have attempted to piggyback the successes of a national team, but for a country in the midst of an existential struggle, where football has been one of the only beacons of hope, to lose it to governmental feuding would be a crime against the sport. 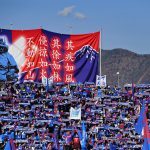 Both Carlos Tarache and Federico Rojas, a Venezuelan football journalist for DIRECTVsports, believe he will remain in charge, with the latter tweeting that “the plan remains the same” in regard to their Copa América preparations, and the former telling me it is simply too close to the tournament and too long in planning for the man responsible for so much of the development to fall on his sword. Venezuelan football fans will be hoping that proves to be the case. As for Cásseres and his future, does he hope to one day play on the Old Continent? “Yes of course. That’s something I want, and one of the many challenges that I’ve given myself is to play in Europe.” Few should bet against him.